Military records are a great resource for genealogy research because not only do they include a large array of important information about your ancestors, they often include details that you won't find elsewhere. 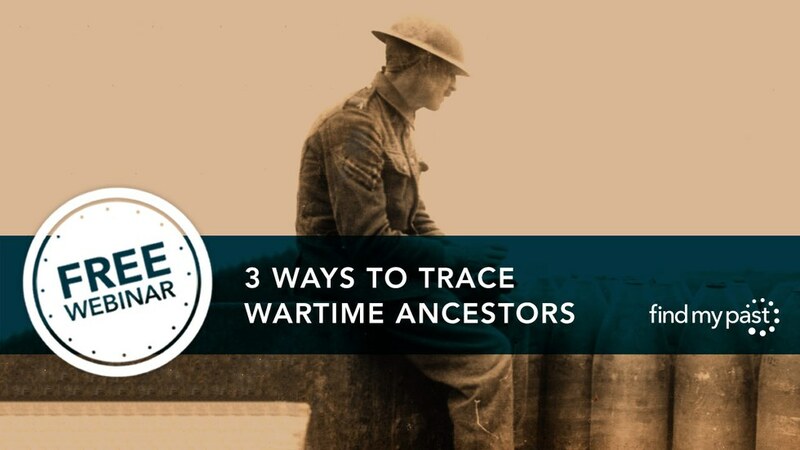 If you're unsure if your ancestor served in the military, exploring available records is a great place to start. Of course, like any other record set, military records take a bit of strategy to maximize search returns. When doing any sort of genealogy research, the absolute best place to start uncovering more about your family history is by asking your relatives. They might know stories of your family's past, they might know who accomplished what, and they can give you a great jump start in building your own family tree. Chances are that if any of your more recent ancestors served in the military, your relatives will know. Serving in the military is generally seen as an honour within the family and so often military stories, war stories, and achievements are passed down from generation to generation. It's up to you to determine which aspects of the stories are fact or fiction. Once you start, add to or amend a Findmypast family tree, our intuitive hints get to work, scouring our records (including our military collections) in search of potential matches. Hints are by far the quickest way to grow your family tree and the depth of our military records means that, often, a hint will provide you with new information from a source you've never seen before. A great way to disover if any of your ancestors served in the military is looking through your family's heirlooms and memorabilia. Chances are that if your ancestor served, there's a photograph of them in uniform, or medals that have been passed down have been stored for safekeeping. Be sure to look through photographs, postcards, family letters, and family journals for more clues about family that may have served. Finding a letter, for example, might give you clues on which military records to search next by either location of service, or dates on the letter. No piece of information is too small. The best way to yield the most specific results is to search one specific record set at a time. To determine which military record sets would be the best option for you to search, go to our A-Z of record sets page and then click "Category" to bring "Armed forces & conflict" records to the top of the list. From the way our records are sorted, you can simply browse through the collections, see which records cover which years, and decide which records will be the best option for your research. If you're unsure whether your ancestor served in the military, having significant dates from their lives readily available will help make your search easier. As you browse record sets, watch the dates and try to assess if your ancestor would have served or not. One item to keep in mind is ages for registration. This will differ by country and conflict and is worth researching in advance for your specific research. In the cases of civil wars and often even revolutionary wars and rebellions, keep in mind that your relatives may have fought for either opposing side, so be sure to check the records for both, even if you suspect they served on one particular side. Sometimes names were recorded incorrectly or nicknames were used by those registering to serve. My grandfather, Joseph, was listed in a Second World War military record as "Joe," so it wasn't until I used the name variant feature that I was able to find him. My case is also a bit more simple than others I've heard, so if your searches aren't yielding any results, try casting a wider net with our name variance feature, then try with the wildcard function. For privacy and other reasons, not all military records have made their way online yet. For example, British Army records from the Second World War still sit with the Ministry of Defence and can only be accessed by application and if you fulfil certain criteria. If you can't find information about your military relatives online don't rule out archives, hard-copy books and other offline resources. War memorials are prevalent in most western countries and often list fallen soldiers or entire battalions. If you know where your serving came from, or indeed, where they may have died in battle, nothing can substitute visiting the area to see if you can find out more. 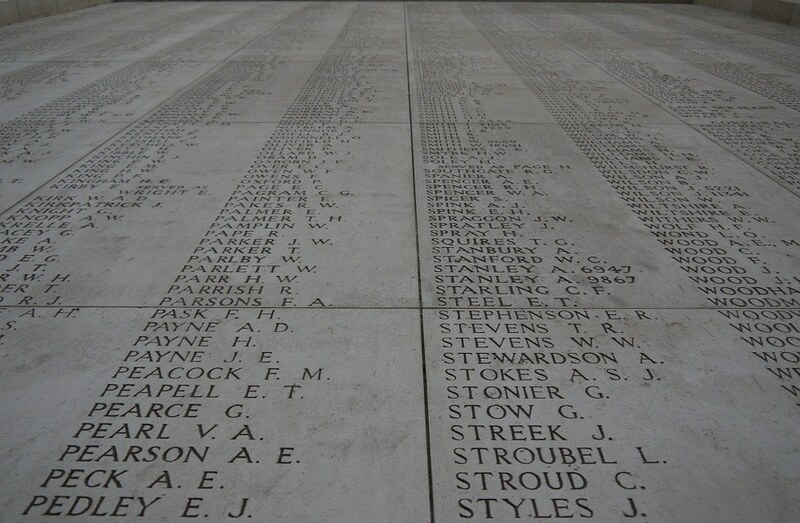 Finding your ancestor listed on a war memorial is not only a poignant moment, it could also help your genealogy research. If you know your ancestor served, but are having difficulty locating them in military records, try searching cemetery records. Those who died in action will often be buried in military cemeteries, and if they're not, often times their gravestone will indicate their branch and rank in the military. If you can find their gravestone, it is possible that it can direct your search to other military records. It could be as simple as searching our BillionGraves collections, but it might take a bit of digging as well. Searching for your military ancestor in a newspaper can yield some great results. Newspaper articles can reveal where your ancestor served, their military accomplishments, or if they died in war. You can often find casualty lists or your ancestor's obituary. Newspapers also included draft lists and war stories, so you can learn about the acts of heroism that your ancestor may have been part of. Do you have ancestors that served in the military? Have you discovered them in our records yet? Tell us what you've found in the comments below.